There is a lot of discussion about the Ruby language demise. Well, this balderdash is circulating for a while now, and there are posts from 3+ years ago saying that Ruby is dead, but in fact, here we are. A Google Trends search shows that the Ruby interest over time isn’t decaying, but following the same pattern similar technologies are tracing. Also, always keep in mind that programming languages are tools to solve specific problems, and that is why there is no such thing as the best programming language. A new version of Ruby has been released in December 2018. This release includes a lot of performance improvements and new features, including an initial implementation of a JIT (Just-In-Time) compiler. To say truly, this new JIT compiler has not achieved its best performance yet, as covered here, but has a lot of future on it. The Ruby community considers this release as an opening to the new era of Ruby. Besides this new JIT compiler, this new release of Ruby has improved performance up to 1.7x, apart from the 5–10% performance improvements from Ruby 2.5.0. Ruby on Rails 6 is close. This release includes a lot of cool features that will get web development much easier, as Rails has been doing for years. Active Storage, a modern approach of uploading files straight to the cloud. Yes, Ruby was bad and Rails was slow. But that is not true to say in 2018, and won’t be in 2019. 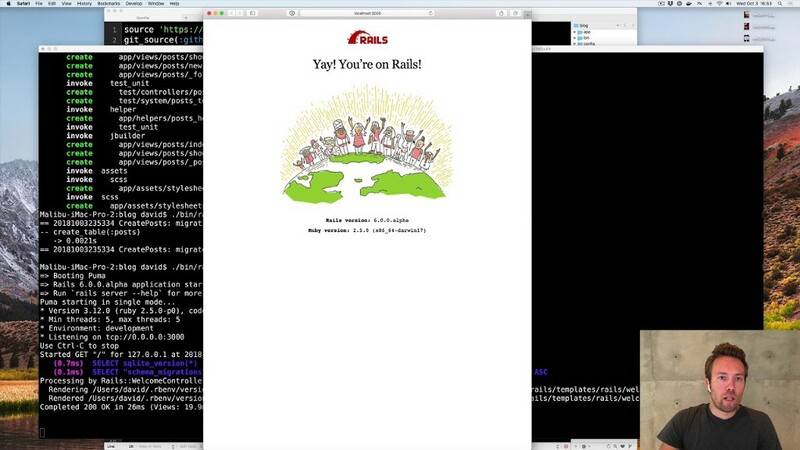 Ruby isn’t slow and Rails does scale. If it doesn’t for you, maybe you’ve chosen the wrong tools for the problem you’ve got. In 2019, let’s enjoy programming Ruby 2.6 and Rails 6! Happy New Year! The State of Ruby 2019: Is It Dying? was originally published in Hacker Noon on Medium, where people are continuing the conversation by highlighting and responding to this story.